Dusting is a type of hair trim, except you don’t cut off as much hair as you would with traditional hair trims. It is also done more frequently, in between regular quarterly (every 3 months) hair trims. 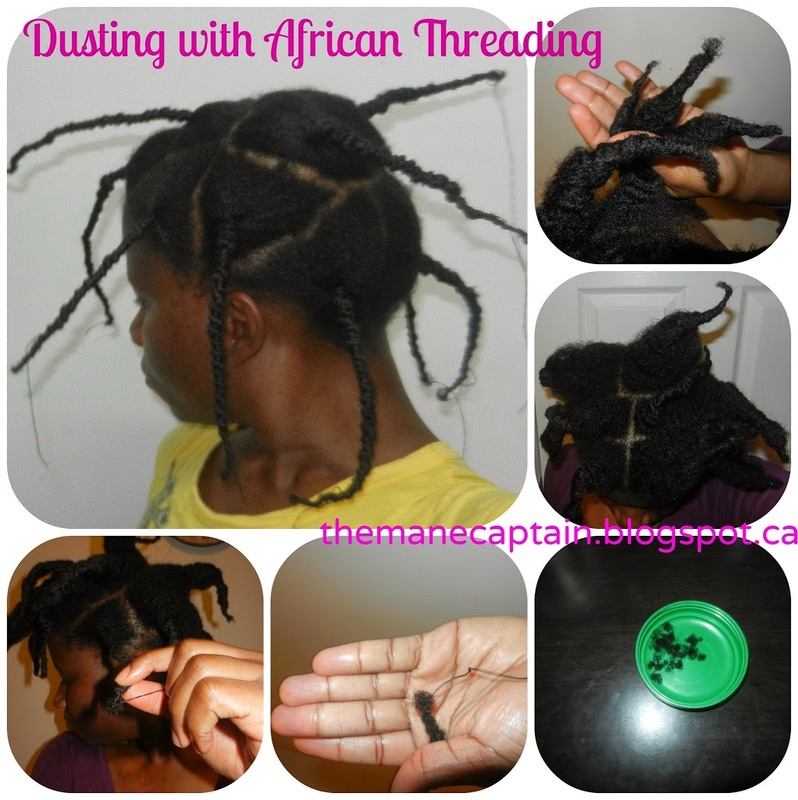 Dusting is done to clip off single stranded knots and tangled hair which cannot be left in for another day, talk less 3 months. It is also done to clip thinning ends which are results of split ends. While dusting won’t give you the best results, they will at least give manageable results by curbing the potential effects of damaged ends. The most popular dusting technique is usually done on twisted hair. I don’t think this technique is good because chances are, you’ll only trim off one end of the twist while leaving the other end untrimmed. The reason for this is that when many of us twist our hair, we usually don’t divide the hair up evenly and so we end up running out of hair and so we’ll twirl the ends that’s “left over”. This means the left over ends will only get the benefit of a trim while the shorter ones that didn’t make it to the end will be left in its poor state. I personally know that dusting twists doesn’t work because I tried it once and I noticed that random parts of my hair felt trimmed and the rest felt poor. So I had to do a REAL TRIM, which was disappointing because it meant I had to do a double trim. So what is the best way to do dusting? 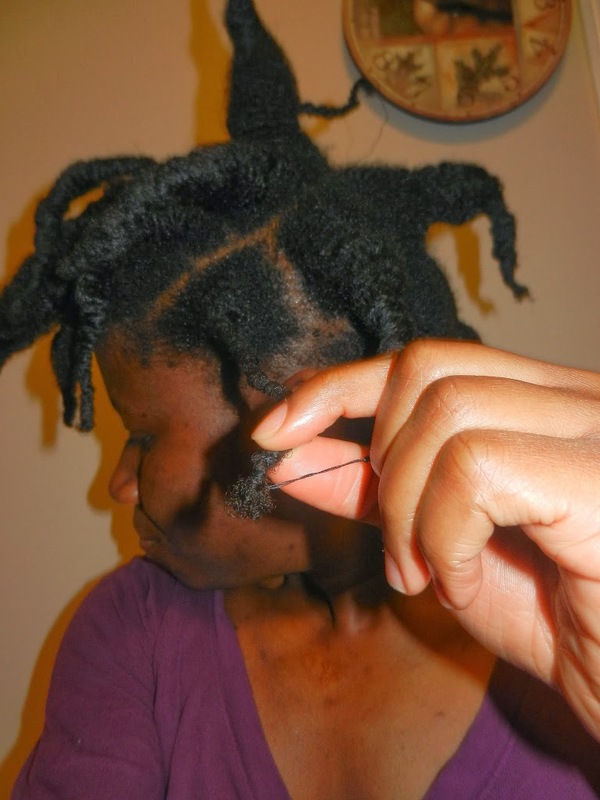 I recently discovered on My ReBorn Hair that you can trim your hair with African threading, which is a common practice in Nigeria. I think this is the best way to dust frail ends because the entire hair strands are stretched out and you don’t need to worry about any hair being “left out“. This is also a nice technique because you only get to trim the tiny ends that are left open and un-threaded. This way, you don’t have to worry about “over dusting”. Simply wrap a piece of weave thread or yarn around small sections of your hair. Then snip off the remaining hair that’s left at the tips and are too thin and weak to be wrapped. This hair shouldn’t be longer than 1/4inch. *Dusting can be done every 6 weeks, half way in between your quarterly trims. Great Post and you are absolutely right about dusting twist. I never about doing it w/ african threading but I am certainly going to give it a try. You are onto something, my sister. I never thought of the uneven twist…which always happens even when you are trying to prevent it. Great way to utilize African threading.